I have decided to turn my writing skills towards becoming a personal historian. This is a person who helps others turn their life stories into beautiful books. I will be starting my own business and I'm looking forward to working with people and helping them write their little piece of history. I am an active LDS mother, living in Utah County. I've had a life-long interest in writing and recently started my first novel. I have a wonderful husband and seven fabulous children in various stages of becoming responsible human beings. We also have 3 parakeets, 1 cat, 1 dog, and 4 ducks. I know, like caring for seven children wasn't enough already, right? I love to knit, sew, read, garden and dance. Jane is married to Rick Still, who she believes has the distinction of being the only man in history brave enough to give her earwax candles for her birthday. They had six children in eight years, and while her children were growing up, she discovered she had a great sense of humor. At least that was her take. Rick once said to her, "Honey, you know all those real corny things you say all the time? Who ever thought you could make money at it?" Her son Adam once told her, "Mom could you please stop telling jokes to my friends? It's really embarrassing." One of Jane's philosophies is, "You're not doing your job unless your children are worried about being seen in public with you." The first thing I liked about this book was the size. It is only 87 pages long, so it's very un-intimidating to read. It's also pink and about 6 inches square. You could probably trace around it to cut out papers for origami. I also appreciated that the chapters are pretty short, so if I only had a few minutes to read I could still finish a chapter. When I read the title of this book, I thought it would be about humorous mothering experiences. So, I was confused when the first couple of stories were about being single and dealing with roommates. From there, I began to wonder if it was all going to be bathroom humor and I started to get nervous. Fortunately, my fears were unfounded. Not only did I find humorous mothering experiences, but many of them had nothing to do with bathrooms. The earlier stories were kind of a set-up for the mothering stories. When I read a book that is supposed to be funny, I get defensive. I cross my arms and dare that book to make me laugh. We'll just see if you're funny, I think. I'm happy to report that this book made me laugh against my will. Some of it was genuinely funny. I wasn't rolling on the floor uncontrollably laughing, but the occasional chuckle did escape my lips. Yes, it did. So, yes. I liked this book. I think it would make a good Mother's Day gift because, 1. It's small and affordable ($8.99 retail. 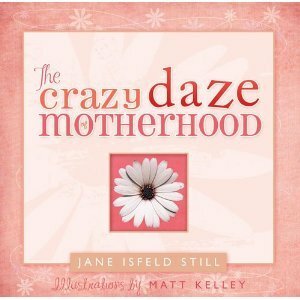 you can purchase it at this link: http://www.amazon.com/Crazy-Daze-Motherhood-Jane-Still/dp/159955495X/ref=sr_1_1?ie=UTF8&s=books&qid=1301328592&sr=1-1), 2. It's about imperfect mothering, which I find refreshing on Mother's Day, and 3. Everyone needs to laugh once in awhile--even against her will. Oh, and 4. How often can you buy a book that you can also use as an origami paper pattern? Disowned, she came to America anyway. Attacked and left pregnant by a vicious mob, she still pressed on. Finally, in spite of being accused of theft by the vilest of her attackers, Giselle tries to remain as upbeat and uncomplaining as a prairie wildflower as she travels on to Zion. Thoroughly disillusioned with the ugliness and cruelty of slavery in the South, Trace Grayson leaves his young medical career to go west, hoping to leave bigotry and hatred behind. He begins taking goods by teamster train to sell in the territories. However, this fourth time across, in July of 1848, he's stuck in St. Joseph, Missouri, waiting for enough wagons to join the train so that they can leave. Knowing that if they don't start west soon, they'll be caught by snow in the mountains, Trace is thrilled when the final wagon signs on. Then, when the beautiful, young Dutch girl traveling with the last wagon is falsely accused of stealing and is detained, the whole trip is jeopardized. Thrown together by circumstance, Trace and Giselle team up to begin to figure out just how to make this epic journey across a continent a success. With a deep sense of honor and an equally strong sense of humor, together they learn to deal with everything except the one trial that neither of them can overcome. I liked the premise of this book. I thought Hawkes had a great story idea and her characters were lovable. I was pulling for the protagonists the whole trek west. It was a sweet, clean love story. I also enjoyed the historical aspect of the novel, as I have pioneer ancestors and like imagining their struggles on their journey to the mountain West. However, it is the historical aspect of this novel that caused me some trouble, because there are some pretty major historical inaccuracies in it. The first I noticed were the words "racist" and "racism." I happen to be old enough to remember when those words first started to appear in the American vocabulary. It was the late 1970's or early 80's at the very earliest. Before that we used the word "prejudiced." I'm pretty sure nobody used the words "racist" or "racism" in the 17th century, though I admit I wasn't around then. The other historically inaccurate matter is that of the LDS Church's treatment of blacks. The novel is set in 1848 and a major plot point is that blacks can't hold the priesthood or go through the temple. This is not accurate. In fact, blacks were afforded the same privileges as whites until 1878, when Brigham Young made changes to that policy. Hawkes really should have done better research on this matter before writing this novel. That being said, it is still a fun story to read and I think readers will enjoy it as long as they're not too hung up on historical accuracy. "Natalie Drake certainly has her hands full raising a large family, dealing with her difficult mother, and maintaining a relationship with her rebellious teenager. Just when things seem to be going smoothly, she finds out another unexpected surprise--she's going to have to have a baby. Faced with so many challenges, Natalie must learn to trust in a plan that isn't what she imagined and discover that every situation has an upside." As the mother of seven children myself, this book really resonated with me. I could tell that Talley had really been there and done that in mothering a large family. Her descriptions of the mischievousness of her two youngest children had me laughing and nodding in recognition of days gone by when I had the very same experiences with my own small children. I imagine some readers would think the scenes are exaggerated. I'm here to say they are not. I found the writing smooth and very readable. I also found the characters to be, for the most part, believable. I will say that the husband was a little too good to be true, and always seemed to be the strong one who said the exact right thing at the exact right time. I would have liked to see just a teensy bit of weakness in him too. It would have made his character a little more real. I also had a little trouble believing that Natalie would really be so naive at her age and mothering experience to believe that anything she prayed really hard for would happen. It seems to me that by the time you have seven children, you've pretty much figured out how prayer really works. But, I'm speaking from my experience. Perhaps other women would be like Natalie. It certainly did not ruin the book for me. I kind of liked that (slight plot spoiler here) the teen-aged daughter's issues were not resolved at the end of the book. If they had been, I think it would have been just a little too icky-sweet, too unrealistic. The daughter exercised her agency, as they will do, and everyone is just making the best of it. That felt very real to me. So, good job Rebecca Talley. Thanks for a good read. "It has been 3,000 years since a white mage has been seen upon Rasann. In the midst of a volcanic eruption miles outside of her village, Ember discovers she can see magic and change the appearance of things at will. Against her mother's wishes, she leaves for the mage trials, only to be kidnapped before arriving. In trying to escape, she discovers she has inherited her father's secret--a secret that places her in direct conflict with her father's greatest enemy. At the same time, Kayla is given guardianship of the Saphire Flute and told not to play it. The evil mage C'Tan has been searching for it for decades, and the sound alone is enough to call her. For the flute to be truly safe, Kayla must find its birthplace in the mountains high above Javak. The girls' paths are set on a collision course...and C'Tan will do whatever it takes to keep them from fulfilling their destiny." My husband and I read this book together--which means he read to me while I did other things, like knit or sew things for my Etsy shop. It was perhaps because of this that I was a little confused at first when the story kept switching between the two main characters' stories. I think if I had been reading it myself, it would not have been confusing. Once I had a good handle on the differences between the girls' situations I found myself getting caught up in the story. Karen has a great imagination and the story flowed really well. I came to care about these girls achieving their goals. This book is Book One of a series (of three? ), and I can't wait to read the next one! The book was very clean with no swear words and no steamy love scenes. I would let my kids read it. In the Society, Officials decide who you love, where you work, when you die. Cassia has always trusted their choices. It's hardly any price to pay for a long life, the perfect job, the ideal mate. So, when her best friend appears on the Matching screen, Cassia knows with complete certainty that he is the one...until she sees another face flash for an instant before the screen fades to black. Now Cassia is faced with impossible choices: between Xander and Ky, between the only life she's known and a path no one else has ever dared follow--between perfection and passion. I really liked this book. It has the same feel as other contemporary YA fiction, such as Hunger Games and Pretties, but with some nice differences. I liked how Condie described the romance scenes--understated rather than explicit--which I feel is the appropriate way to handle romance in the YA genre. Condie's writing is fun to read. She has a lyrical, poetic style that I wish I could capture in my writing. She uses great similies. She also creates characters that are easy to identify with and care about. I am looking forward to her next book(s) and I hope she has great success with this series. I really wanted to like this book, but I had some real problems with it. First, I'll start with what I liked. Angela is a good writer. She draws the reader in and the book reads quite quickly as a result. She gives detailed descriptions. She also has chosen a couple of unconventional ways of telling her story. Written in the two main character's points of view, Michael's words are written as dive logs and Leesie's are written as poetry. It works better than it sounds. The biggest problem I have with this book is Leesie's character. She is weak. She claims to be devout LDS, and supposedly has all these "rules," but she doesn't really keep them. She doesn't even try very hard to keep them once she meets a guy she considers "hot." Really? Rules are only for guys that aren't hot and if they are, all bets are off? Seems to be the way Leesie operates. Maybe she wasn't well-grounded in her standards because she doesn't seem to think it's wrong to skip out on 2/3 of her church meetings. She sets a really bad example for not only Michael (who, by the way, is almost frighteningly predatory and needy), but anyone who reads the book and doesn't really know any LDS girls. Really folks, they're not all that wimpy about adhering to their moral standards. I also had a big problem with Leesie's relationships with her classmates at school. She is literally sexually assaulted more than one time and does nothing about it. Again, a weak character. I like my female protagonists to have enough self-respect to stand up against sexual harassment. I could go for a good slap in the face or at least telling school authorities. Respect in general is pretty much lacking in this tale. Michael doesn't respect Leesie or her supposed beliefs, but tries to get away with as much as he can. I really couldn't believe she let him kiss her bare skin below her belly button. Really? No self-respecting LDS girl I know would let things go nearly that far. Angela also glosses over "the repentance process." Repenting is more than just one visit with the bishop. It includes things like feeling remorse--which I didn't see much of--and keeping yourself out of situations where you are likely to be tempted again--and Leesie, weakling that she is, goes right back to Michael. I am a leader of LDS young women. We teach our girls to live chaste, virtuous lives, avoiding the appearance of evil, bridling their passions, reserving sexual expression for marriage. Even passionate kissing is discouraged (read For the Strength of Youth). Some of the things Leesie allows Michael to do don't add up to the teachings she should have gotten not only at church but from her parents. Anyone who does things not in keeping with one's beliefs is weak. I realize young people have passion. I realize they are tempted. To me, the ultimate display of "saying no" in the face of temptation is being smart enough to keep yourself out of situations that could become dangerous. Why Leesie doesn't get that is beyond me. Not only is she weak, but stupid. So, I'm not very fond of this book. I probably would have liked it better if Leesie wasn't LDS because I hold her to a much higher standard than she apparently holds herself. Angela has set age 12 as the lower limit for reading this book. I'd go much higher than that, and frankly, I don't want my daughters reading this before they're married! Much like the first book, although Michael is less predatory and Leesie's all-but-ignored-in-the-first-book younger brother, Phil, reappears here in a Jimminey Cricket-type character, which Leesie can certainly use, as her own conscience seems to be out of order. The book is well-written and has a surprise ending, but I wasn't all that impressed with it, and had pretty much the same problems with it as I did with Taken by Storm. The third and final book in the Hunger Games trilogy. I have enjoyed all three of Collins' books. This one was the hardest for me to get through. I think part of the problem is that it had been so long since I read the second book (Catching Fire) that I forgot a lot of the characters' names and spent the first half of the book trying to figure out who everyone was and how they were significant to the story. Once I got about half-way through the book, the action finally picked up and I was engrossed in the story. Really, though, I plodded through the first half. I almost gave up and stopped reading. I am glad I persevered because I liked the conclusion of the series. I found the ending satisfying, even though some of the events were quite sad. So, I recommend reading this book, especially if you've recently read the first two of Collins' books. If the first half drags a bit for you as it did for me, hang in there--it gets better and you'll like the ending. From the back of the book: "A young woman is missing. In desperation, her parents turn to Autumn Rain for help. Autumn reads imprints--emotions mysteriously left behind on certain treasured objects. But will this ability enrich her life or destroy it? Autumn isn't sure--her life has become far from normal--but for people whose loved ones are missing, her talent might mean the difference between life and death. Even the infuriating Detective Martin has asked for Autumn's help, though at times she feels more like a suspect than a consultant. Too often Autumn finds herself retreating to her antiques shop and the company of her best friend, Jake Ryan, to avoid notice. But soon more than one woman is missing, and Autumn teams up with private eye Ethan McConnell to investigate their disappearance. Ethan's attraction to her is a pleasant change from Jake's frustrating offers of friendship, but once Autumn takes the first step, she sets in motion a series of events that risk not only her own life but the lives of those she cares most about." I really liked this book. I found the writing to be good and the characters to be believable and likable. The plot was interesting and the ending satisfying. I liked the main character, even though it made me roll my eyes a bit at how she seemed to fall in love with every eligible guy she encountered. Maybe it's been too long since I was single. I was probably that way too, at some point. I hope Rachel writes more stories about Autumn Rain and her unusual abilities. From the back of the book: "It's been years since Thom Mortenson has been back to Garrison, Colorado. As part of the committee that invited the bestselling author to speak at the library fund-raiser, Sadie Hoffmiller wants everythign to be perfect--right down to the homemade devil's food cake she baked herself. When Thom's manager ends up dead on stage, Sadie immediately offers her guidance and expertise to investigators. But when the police refuse to take her seriously, Sadie has no choice except to pursue justice on her own. With her son, Shawn, at her side, her reputation on the line, and a full cast of characters--including as suspicious photographer, an inquisitive reporter, and a helpful, handsome neighbor with some useful skills--Sadie Hoffmiller is once again on the case. But the devil is in the details, as they say, and as Sadie digs deeper into the mystery, she discovers unexpected ties to another tragedy as dark as the chocolate in Sadie's world-famous devil's food cake." This is the first of Josi Kilpack's books that I have read. It was the third, I believe, in a series that she has written about Sadie Hoffmiller and Detective Pete Cunningham. Maybe I would have liked Sadie better if I'd read the other two books first, I don't know. I had a real problem liking Sadie. She seemed to be extremely nosy and got herself into many highly implausible situations. I also felt that Detective Cunningham was unrealistically forgiving of Sadie's mistakes in judgment and unlawful behavior. That being said, it was an entertaining read. I think as long as you don't take the story too seriously and are just in it for the escape, and maybe the recipes too, you'd really enjoy this book. There is an unexpected twist at the end. Ben self-published this book, and consequently was able to put a lot of artistry into the aesthetics of the book itself, which makes it fun to read. It is filled with sketches and pictures, notes and even glaze spills and fingerprints. A fun flip-movie can be viewed of Ben making a pot on his potters wheel. The story is about a young potter taking the place of an old, deceased potter who not only made pots but also was something of a town spiritual advisor. I found it quite interesting and I enjoyed learning about the residents of the little town of Niedrbipp. which was a continuation of the first book. 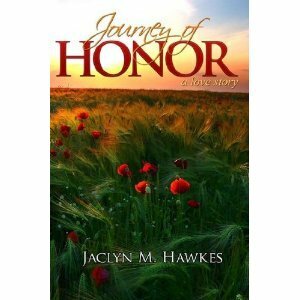 There is a sweet, clean romance in the book, and the main character does some maturing along his way to discover what made Isaac such an important person to so many of the townsfolk. By the end of the book, I felt that Isaac was being made out to be larger than life. Perhaps that's the way we remember those who have passed on, but it was a little over the top for me. It seemed unlikely that one person could mean so much to, and be the perfect answer to, so many people's problems. That's the only fault I found with the book. It was fun to read and, philosophical without being too preachy, it made me stop and evaluate my own life and motivations. Five stars to each of these artistically rich books. This book is a fascinating look at Nazi occupation of the small island of Guernsey during World War II. The author writes the story as a series of letters, which is unusual, but works well. It is fun to get a feel for each character through his/her letters, and I really enjoyed learning more about WWII. I was a little put off by some homosexuality, which I felt was handled inappropriately for the time period. Another WWII story. This one is about a Chinese boy who wears an "I am Chinese" button to prove he's not Japanese so he won't get taken to an internment camp. However, he develops a friendship with a Japanese girl. This book deals with the intricacies of many different relationships, such as the one between Japanese and Chinese and Caucasian US citizens during WWII, and the one between the protagonist and his father. I love the ending, which I won't give away. Probably one of my all time favorite books. This is a delightful tale about a young woman who has spent a year in her jammies, eating nothing but Jell-O. Ghosts of her past self help her resolve issues from her past, and help her heal and live in the present. I love the voice in this book. It is quite refreshing and I found myself laughing out loud a few times, just from the expressions Riley comes up with. You really get wrapped up in the protagonist and by the end of the book are pulling for her to make the right decision--which seems obvious to everyone but herself. Great book. Wow, what a ride! This book scared the bejeebies out of me, but I couldn't stop reading it. I just had to see how it all turned out in the end. I was delightfully surprised numerous times by twists in the plot. I don't want to give too much away, so I can't say too much, but you need to read this book. I am curious to read his next book and find out more about John Wayne Cleaver. My project is a YA fiction book about a girl named Sable who lives in a world without books. She's only read books electronically until a discovery in the attic changes her life forever.